Founder Helen Saini has a PhD in plant biology and has worked on the non-GM improvement of plants to enhance flavour and increase health benefits. 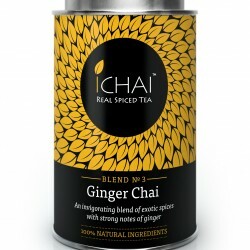 She started making tea with spices after her first trip to India, back in 1995 and launched ICHAI teas to combine her passion for spice with her passion for knowledge. 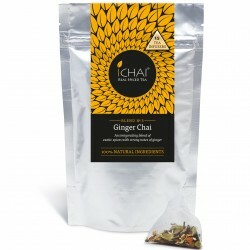 ICHAI teas are not only high quality, made with 100% natural ingredients, but are also authentic, using methods that have been developed over nearly 20 years to deliver the very best taste and aroma. Methods include the optimal grinding in house and dehydration of spices in ways that are not available elsewhere. They even cut and dry their own ginger using a unique method to preserve the very best flavour. 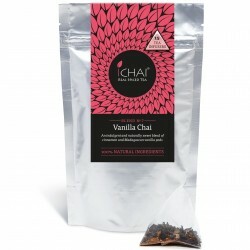 Capturing the essence of the traditional and drawing on extensive knowledge of spices, milling and blending, they bring you eight delicious, aromatic and high potency spiced teas. 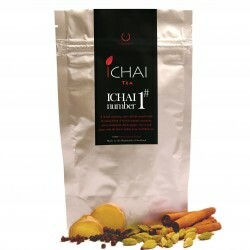 Three of ICHAI tea blends have received Great Taste awards!